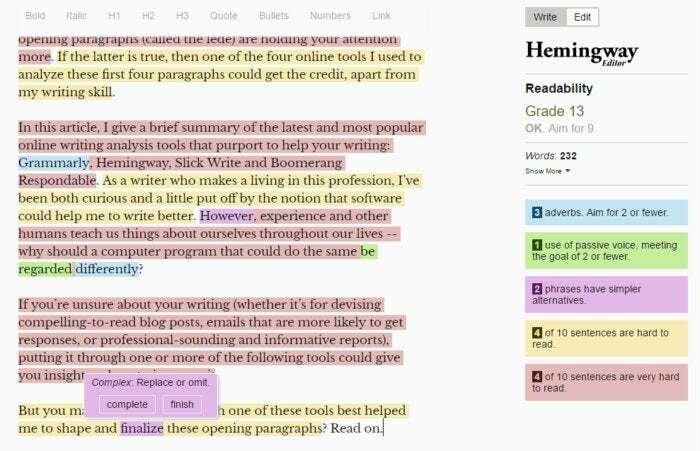 Can these tools help you write more good? Maybe even better. You may have started to read this article because you’re interested in its subject. If you continue, it may be because the way I wrote these opening paragraphs (called the lede) is holding your attention. And that could be thanks to the online tools I used to analyze these first four paragraphs. If you’re unsure of your writing skill, online tools could give you insight into how to improve. This could benefit you in composing compelling posts, emails likely to get responses or professional-sounding reports. I put my writing through four such analysis tools: Grammarly, Hemingway, Slick Write and Boomerang Respondable. I’ve always been a little put off by the notion that software could help me, a professional writer, write better. But experience and people teach us things — so why regard a computer program any differently? Read on if you’re wondering which of these tools best helped me polish these opening paragraphs. Grammarly is probably the most popular of the four tools I tried. It comes in several forms: as a browser extension (for Chrome, Firefox or Safari), as a desktop application for Windows or macOS, and as a website tool. It’s also a Microsoft Office add-in that analyzes your writing in Outlook and Word. Grammarly had very little to say about this article's lede. You can use Grammarly for free to look for dozens of types of grammatical error. (You have to sign up for a user account, using your email address or Facebook profile ID.) A premium service that costs $11.66 per month with a one-year commitment (and costs more on a month-by-month basis) will check your writing against more than 400 points of grammar, as well as evaluate the sentence structure of your writing, enhance your vocabulary, check for plagiarism and more. 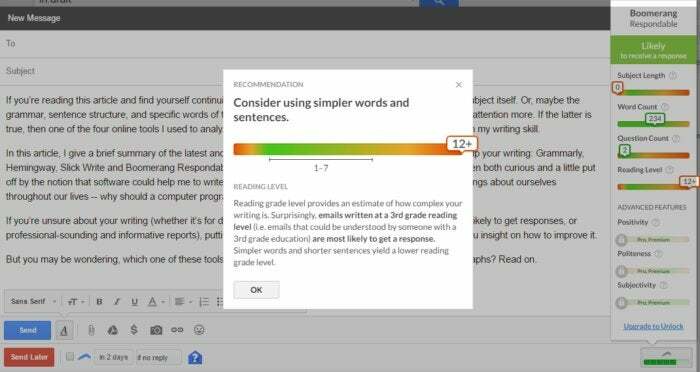 At the Grammarly site, you paste your writing into a text-entry window or upload a document file to have the tool analyze it. Similarly, you can paste your writing or load a document file into the Grammarly desktop application. It also determined that my writing had two “advanced issues.” It didn’t elaborate, and I would have to upgrade to a paid plan to find out what those issues were. For this article, however, I am sticking to the free offerings. I felt pretty good that Grammarly hadn’t found anything major wrong with my prose — or was it trying to hook me into paying for a plan? Like Grammarly, Hemingway is available as a tool on its website. You just paste the writing that you want evaluated into a window. It’s free, and you don’t have to register to use it. It’s also available as a desktop application for Windows or macOS, but you have to pay $19.99 for either. There is no browser extension of Hemingway. Hemingway's color coding shows lots of problems but fewer solutions. Hemingway differs a bit from the others in this article in that it aims to help you make your prose concise and clear, rather than adhere to the rules of what’s considered proper grammar. I did wonder whether my lede was too long — if sentences should be removed, or the number of paragraphs cut back from four to two. So I was eager to see Hemingway’s judgment. Hemingway definitely was harder on the first draft of my lede than Grammarly was. It dinged me for excessive usage of adverbs and complex words, highlighting the violations. Pointing the cursor at these highlighted words and phrases popped up small panels containing brief advice on how to correct things. Most distressing to me, Hemingway considered 4 out of 10 of my sentences to be “hard to read” and, worse, another 4 to be “very hard to read.” Unfortunately, Hemingway’s interface didn’t offer explanations for these particular ratings or advice on how to improve them. But I concluded that I should try breaking up the long sentences into shorter ones and reduce the number of, or eliminate, statements within parentheses. After I did that, Hemingway liked those sentences better. Slick Write offers its analysis tool only on its website: Paste your block of writing into a text-entry window and click the “Check” button. There is neither a desktop application version nor a browser extension. But Slick Write is free, and no signup is required. Slick Write summarizes the problems it finds and lets you home in on specific trouble spots. Slick Write’s evaluation is spread across three tabs: Features, Structure and Word Variety. Under the first, it underlined problem words and phrases in my lede, using blue, green and red lines to represent specific categories of issues. It flagged my first two paragraphs for excessive usage of adverbs and incidents of passive voice. Under the Structure tab, the tool analyzes the sentence structure of your writing. Slick Write said my third paragraph was problematic. I had to agree, since it was just one long sentence. Slick Write also grades the variety of your word usage, and under that tab, it found the entire opening paragraph of my lede to be highly lacking in variety. Ouch. 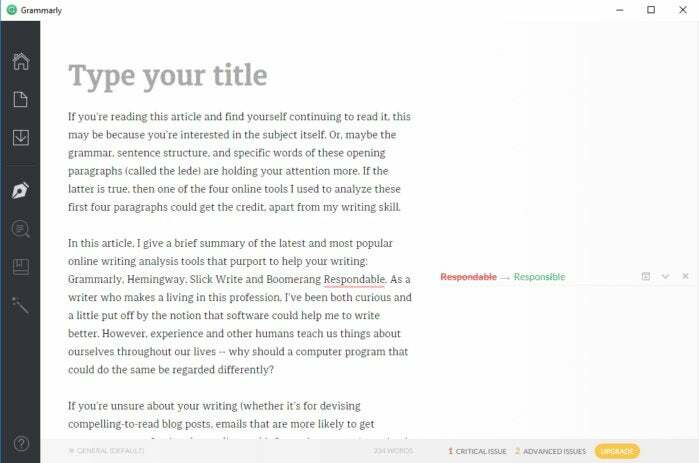 Boomerang Respondable evaluates the reading level of your prose, and because it focuses on writing emails, it encourages simpler styles. I decided to see what Respondable thought of my lede, even though it’s not an email message. After all, a good lede seeks to draw in readers so that they will “respond” by continuing to read the rest of the piece. So I opened a new email composition window in Gmail, copy-pasted my hopefully alluring prose into it, and clicked a button on the lower-right corner to summon the Respondable A.I. Respondable deemed my lede “likely to receive a response,” which made me feel pretty good. It rated the reading level as grade 12 and over. That sounded good too, but Respondable suggested that I edit the lede by using simpler sentences and words — less fancy and academic talk, basically. This appeared to align with the diagnosis that Hemingway gave me. 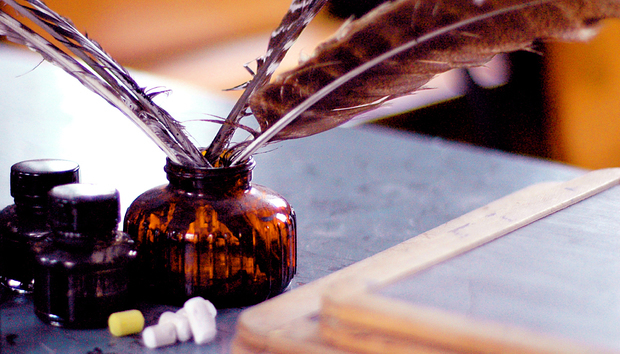 Which of these tools shaped the final draft of this article’s opening paragraphs? I used the results from Hemingway and Slick Write to produce a second draft, and then ran the rewrite through both of them and Respondable to spot-check it. I feel that the three tools together taught me something about the inherent flaws in my writing, knowledge that I can use to become a better writer. As for Grammarly, I’m uncertain how it felt about my skill. Perhaps a paid Grammarly plan would have provided more useful feedback. I can’t say, and it may not be fair to slight Grammarly for this, since I wasn’t interested in paying. Keep in mind that none of these tools can substitute for your own judgment; the results they give you should be regarded as suggestions, not absolutes. Every writer has a distinct style and voice, and even artificial intelligence is not yet able to appreciate those subtleties. I don’t know details about its algorithm, but Hemingway, for example, is probably never going to find an adverb it likes and will throw up a flag every time it sees more than two commas in a sentence. Think of these tools as knowledgeable advisers peering over your shoulder, not taskmasters you must obey. Yet if you made it to the end of this article, I do have to give some credit to these tools. GE Smart Lighting review: ZigBee or Z-Wave? In-wall or plug-in?